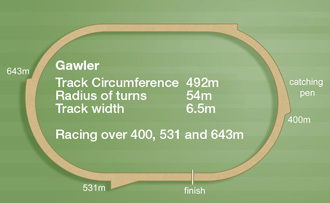 The race track is located at the Showgrounds (Nixon Terrace), Gawler. See our racing calendar for race meetings. The track has a sand surface and a bramich lure system. There are full TAB facilities. Racing is shown live on Sky Channel. 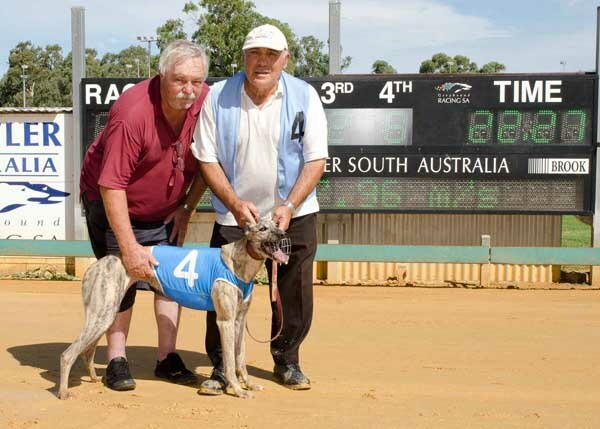 There are video replays of races from this track see sa.thedogs.com.au . 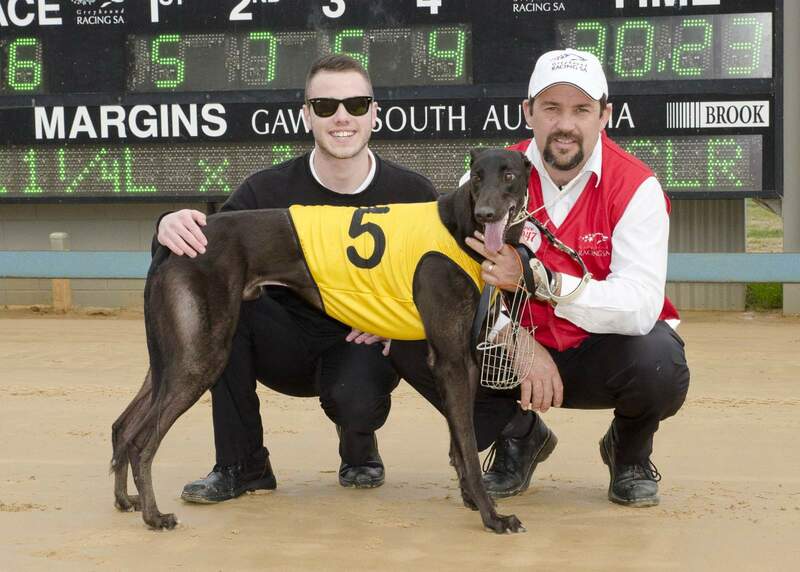 Race replays courtesy of “thedogs.com.au”. There is plenty of free car parking available within the grounds. We race every Tuesday afternoon and Sunday twilight. Please check the Race Calendar for the latest information. 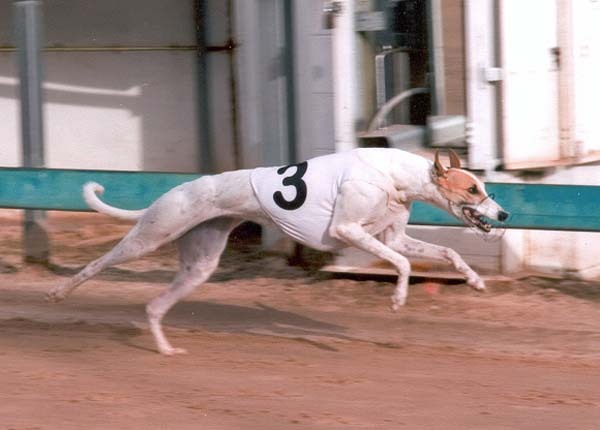 Greyhounds must be kenneled no later than 30 min before first race. 400m, 531 metres and 643 metres. Qualifying and normal trials are conducted every Wednesday night. Normal trials are run on Thursday mornings, between 7.30 and 9.30am ONLY.